Okay, debriefing from the Dallas Symphony show has taken me a little longer than I’d hoped. It was an experience of a life time, to be sure! Wow… I just loved the power of the Horn Section during the cries in Rhiannon. A totally different dynamic to a performance like that than even a band that’s really cranked up. Interestingly, the volume is actually somewhat lower on stage but the intensity of the huge number of instruments all SEEM to add up to something bigger than life! I just loved it!! I’ve been sitting in my Hot Tub here at home a couple of times reflecting on things and I have to say I did find the the demographics at the shows to be a little puzzling. There were some younger people there… as young as 10 years old, but not that many. You WOULD expect there to be a larger proportion of elderly people as they are the major demographic holding season’s tickets…AND, I DO know symphonies book a Rock show like this to help diversify their audience base, and yet, I don’t think they advertised the show to anyone but their seasons ticket holders. Even though the shows were very well attended, it sort of seemed to defeat their desired out come, I should think. Not my problem I suppose… but none the less, puzzling. There would be a few things I’d do differently, if I ever had an opportunity to do this again. I’d like to address the symphony as a group to jump start a bit of a relationship with them, right up front. Just to get everyone on the same footing. In a group that size, sometimes the feature artist is looked on with a bit of disdain as you are seen to be there to usurp their moment in the spot light. This is very counter-productive to getting a good show together in short order. I’m no diva and I need to be sure it doesn’t take me all weekend to let these people know I am soooo unbelievably honored to be performing with THEM…. with an emphasis on “with” and “them”. In the end, it was all good. The audience was never the question. They loved the show and were very appreciative… For me, it will be a memory to last a life time. This week has been an emotional roller coaster ride! I was brought crashing down from the high of the biggest gig of my career by a call telling me my brother Philip had been diagnosed with Pancreatic Cancer earlier this week. Wow. I think that might be terminal. I’m told that he’s “lucky” in that he has a tumor in his pancreas and not his entire pancreas is cancerous… but where’s the luck in that? We ARE all hanging on to the hope that an operation will remove it and that the cancer has not metastasized to the rest of his body. Do the really great times in life make the down times seem that much worse? I’ve had my share of heartache in my life. My middle brother died when I was 18 when a drunk driver hopped the curb and ran him down walking down the street. His wife, my sister in law, was gunned down when caught in the cross fire of a convenience store hold up she walked into less than a year later. 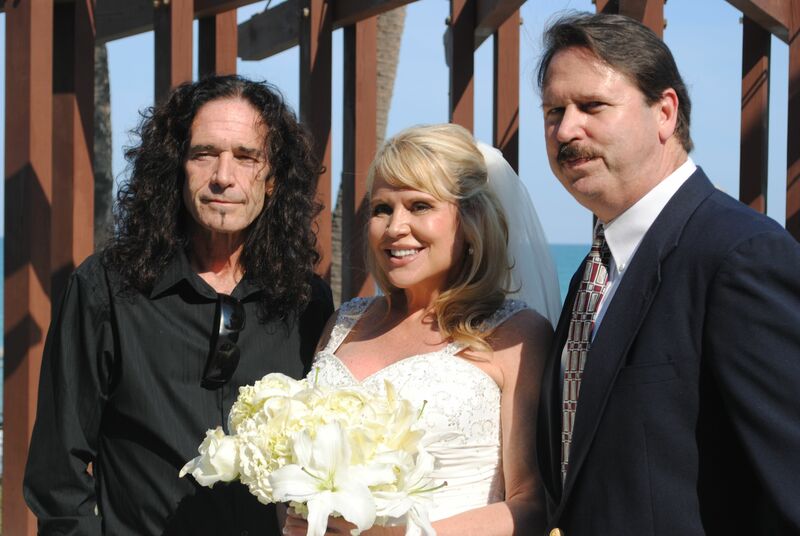 My first husband died of a drug overdose in 1993. He was bipolar and was fine with his medications on board but, as is so often the case, when he was fine he would decide he didn’t NEED his medications and this could have catastrophic consequences. My father passed away due to the complications of Alzheimer’s in 2007. I’m not sure I could handle loosing another brother… and I just KNOW my mother would loose the will to live if my brother wouldn’t pull through this. I’m not sure if a blog or FaceBook or twitter are appropriate places to ask people to pray for situations like this… but I guess that’s what I’d really like to do. Please pray for guidance for his doctors and for healing in his body. Pray for my families emotional well-being in all of this as well. The roller coaster had another twist in the ride in that my husband’s daughter Kristen gave birth to a baby boy in Africa right about the same time we heard about Philip! This is her third child and his name is Isaiah David John… a brother to Zechariah, almost 3, and sister Maisha, 4 and a half. Kristen and her husband Kevin are group tour hosts in North Africa for groups from North America. They speak several languages and two of their children have been born in North African hospitals. I am not Kristen’s mother and to her children, I am “Aunty Julie”… or “Aunty Joe-Lulia”. 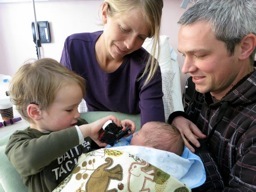 We had hoped to head out to Africa for a short visit after the baby was born but travel plans are on hold while Philip’s treatment plan is still uncertain. Kristen’s mom, Jocelyn, is out there right now helping out the newly expanded family. We hope this gets settled with Philip so we can head out there for a bit as well. I’m in Boston for a show on April 7th so it would be wonderful if we could do that shortly after…. Okay, debriefing from the Dallas Symphony show has taken me a little longer than I’d hoped. It was an experience of a life time, to be sure! Wow… I just loved the power of the Horn Section during the cries in Rhiannon. A totally different dynamic to a performance like that then even a band that’s really cranked up. Interestingly, the volume is actually somewhat lower on stage but the intensity of the huge number of instruments all SEEM to add up to something bigger than life! I just loved it!! I’ve been sitting in my Hot Tub here at home a couple of times reflecting on things and I have to say I did find the demographics at the shows to be a little puzzling. There were some younger people there… as young as 10 years old, but not that many. You WOULD expect there to be a larger proportion of elderly people as they are the major demographic holding season’s tickets. I know symphonies book a Rock show like this to help diversify their audience base but I don’t think they advertised the show to anyone but their seasons ticket holders. Even though the shows were very well attended, it sort of seemed to defeat their desired out come I should think. Not my problem I suppose… but none the less, puzzling. There would be a few things I’d do differently, if I ever had an opportunity to do this again. I’d like to address the symphony as a group to jump start a bit of a relationship with them right up front. Just to get everyone on the same footing. In a group that size, sometimes the feature artist is looked on with a bit of disdain as you are seen to be there to usurp their moment in the spot light. This is very counter-productive to getting a good show together in short order. I’m no diva and I need to be sure it doesn’t take me all weekend to let these people know I am soooo unbelievably honored to be performing with THEM…. with an emphasis on “with” and “them”. In the end, it was all good. The audience was never the question. They loved the show and were very appreciative… For me, it will be a memory to last a life time. Good times in Las Vegas! I’ve had a really great weekend with friends in Las Vegas. This isn’t my usual experience in this city. Having lived here, I’m not at all into life on “The Strip” and that sort of thing. I’m over it really quickly. My friends, Bob and Stephanie, are wonderful people and we had the greatest time doing things like hanging out in their kitchen enjoying various wines, cheeses, and bread. We grilled Salmon one day and made some unbelievable Margaritas on another. They took us to a few of Las Vegas’s finest restaurants for other meals. We sat in their Hot Tub and gazed at the stars and talked until we just couldn’t take the heat any more! A wonderful Holiday with great friends! Thank you Steph and Bob! Tonight I had a scheduled rehearsal with the band that will be backing me with the Dallas Symphony on Friday. It went really well with only a few restarts and minor adjustments. It’s always a little unnerving getting ready for these shows when you haven’t sung with the band before. My confidence in these guys and our ability to get it all together for the show is much improved after the rehearsal. It’s so much fun working with a good band! Fun! Fun! Fun! So it’s off to Dallas now…. see you there!! An observation on the human condition.. I should be really excited today but I’ve got to start packing and I seem to be putting it off. I’ve had a little trouble getting used to my “in-ear monitors” at rehearsal lately as I don’t use them regularly and this adds a bit of frustration to learning slightly new “symphony accompanied” versions of the songs I already know so well. I shouldn’t let it get to me but I don’t use them regularly enough and that’s the problem. If you are too lazy to use them during rehearsal then you likely won’t use them during performance it seems. 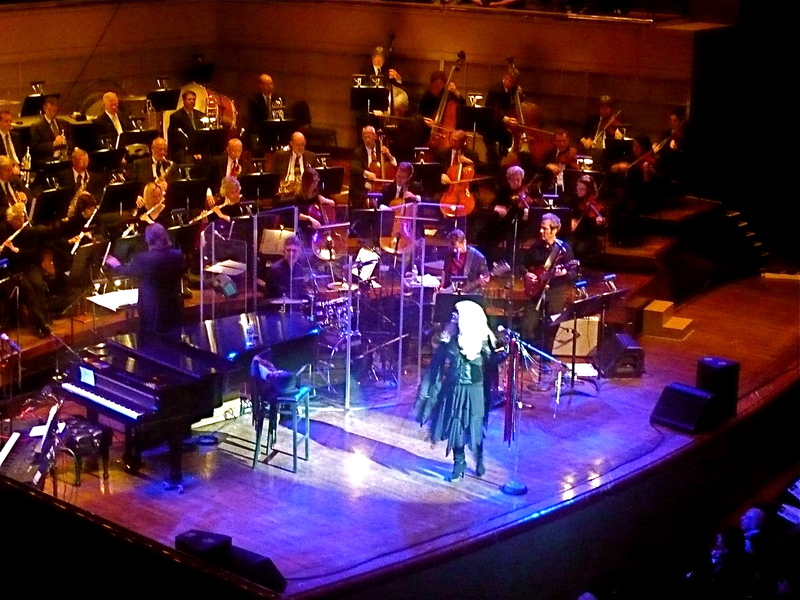 The upcoming show is at the Morton H Myerson Symphony Center in Dallas and I really AM looking forward to it. 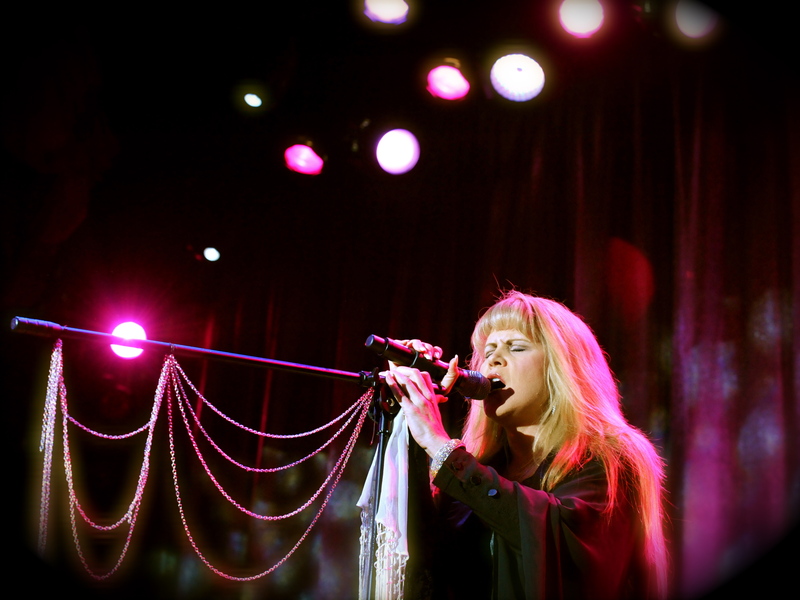 It may be the biggest audience to date… at least for my Stevie Nicks Tribute. I’m leaving for rehearsal in Vegas Saturday morning… two days from now… and I still have a few Costume modifications to attend to as well! I should be so very motivated! Seems like I go through some kind of swings in my levels of motivation… and many times, the better things are for me the less motivated I am. Any of you have trouble with that? The human condition seems to be such that whenever we are giving something without having to work for it, we don’t value it much. There are groups in our society where governments give out assistance to people and it never seems to give these people a leg up. They remain in their squalor and we think, “man, if I could get that type of assistance I’d do this and that with it… WOW!”. I am recently married and my new husband has found that at his business if he buys new equipment for his employees his success in keeping this new equipment in good condition doing the job it was intended for is a lot less successful than if he buys a well used piece of equipment and then gets his maintenance crew to dig in and refurbish it from top to bottom and repaint it and everything, often spending almost as much money as just buying it new in the first place. The reason is that now he has 4-6 maintenance men, who are proud of what they’ve built, helping to teach the operators how to use it correctly and chastising operators who scratch the new paint etc. It’s a little disheartening to think how natural it is to be ungrateful. I am always thinking about this part of me and I know I am not exempt… so with that bit of self examination, I’m off to go pack and work on my costume changes….